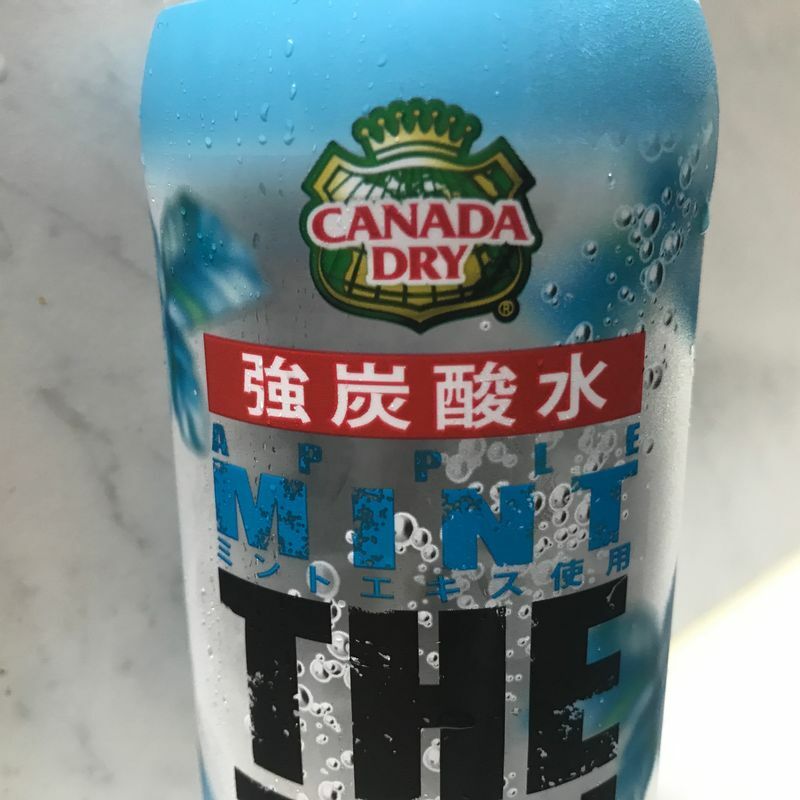 The mint craze has really hit Japan hard. From chocolates to ice cream flavors to traditional taiyaki, it seems like everything can be found in the mint variety now. 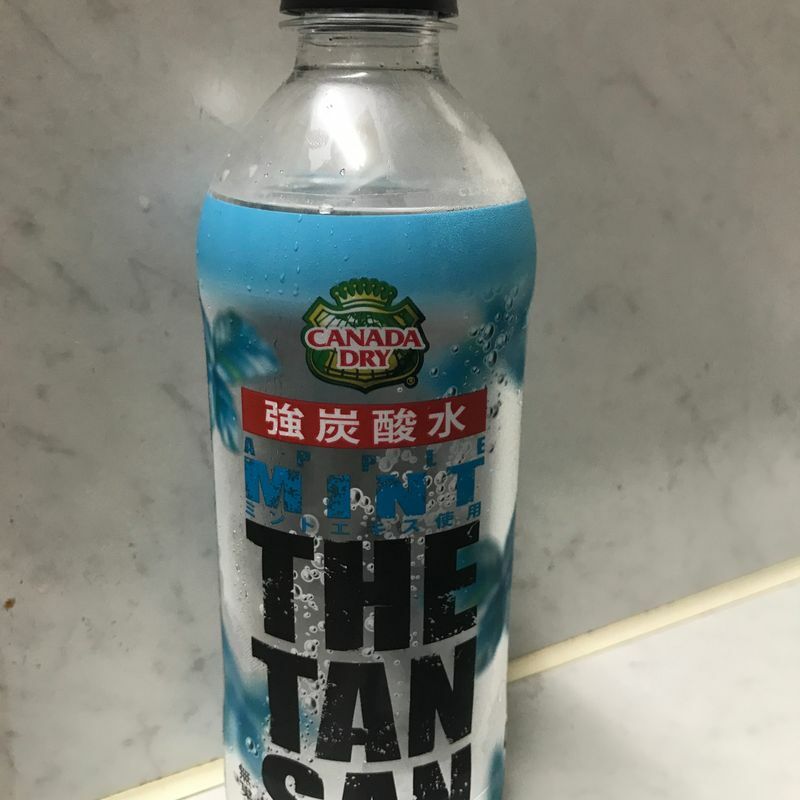 I was perusing the grocery aisle recently when I came across a new minty player: THE TAN SAN. 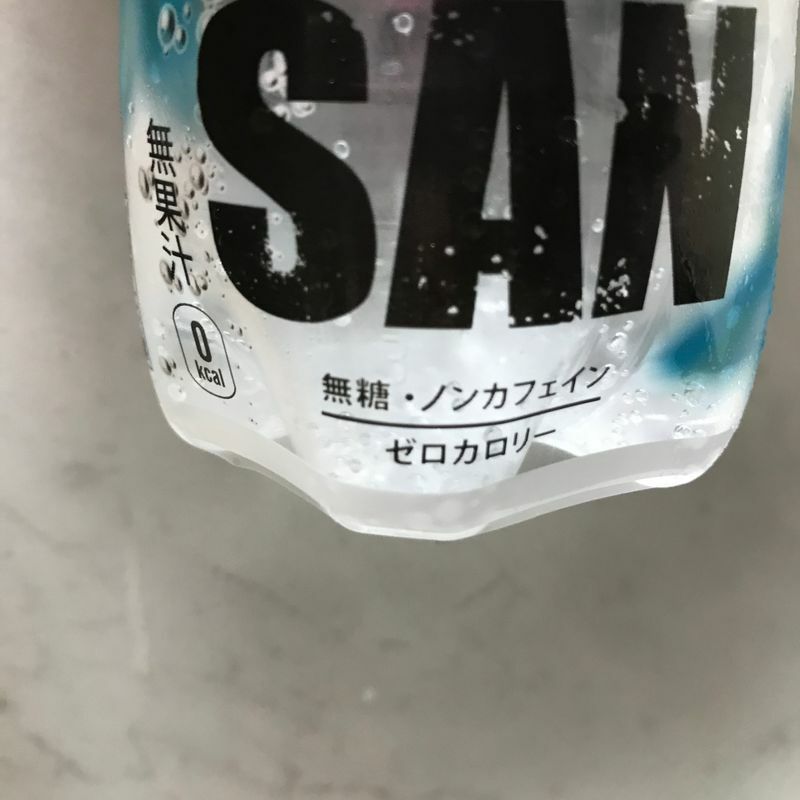 THE TAN SAN is a relatively new player in the soda water field. Created by the producers of Canada Dry, it was only released within the year. Their usual flavors are the classic lemon, or no flavoring at all. In fact, prior to this, the most adventurous soda water I'd seen was 7-11 brand's grapefruit flavor. So, to see something like apple mint was a bit of a surprise. The bottle uses the same motifs as most common mint packaging in Japan. The same icy blue color is used, as well as mint leaves. Strangely, there's no sign of apple on the packaging apart from the mention of it in English at the top. If I wasn't looking closely (even as a native English speaker) I think I'd miss the note about the apple and be in for a bit of a surprise. My favorite thing about soda water is that it's a nice refreshing beverage, especially in summertime. It's free of caffeine and calories, which makes it a guilt-free alternative to soda. As for the flavor of this apple mint, I can't say I'm a fan. I don't think I've ever had an apple mint combination before, so drinking this would be my first time. Honestly, I don't think that the combination works well at all. Lemon and grapefruit work, but this was a miss. If you don't see this in stores and want to recreate this flavor for yourself, all you need to do is mouthwash, then, immediately after rinsing, drink a sparking apple juice. Does that not seem appealing to you? Me neither.